Writer and teacher living in Patagonia. In 2012 he won the Planeta Digital prize for his short story “Lamm” (Editorial Booket). Winner of the 2015 Medellín Negra Crime Novel prize for his novel Resnik. 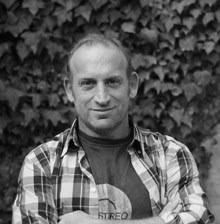 Winner of the 2015 Córdoba Mata Prize for his novel Usted está aquí (You are here).